Wilma A. Morris, 70, of Everett, PA; passed away on Monday, September 10, 2018 at her daughter’s home after a two year courageous battle of Pancreatic Cancer. She was born on March 22, 1948 in Huntingdon, PA; a daughter of the late Albert and Dorothy (Goss) Griffith. She is survived by children Dale W. Morris, Jr, married to Barbara, Hopewell, PA; Dollie L. married to Mark Greenwald, Hopewell, PA and Lois Ramsey and significant other Don Smith, Crystal Spring, PA; special companion of thirty four years Charles B. Clark, Everett, PA and his children that she adored Judy McCahan, Charles Clark, Jr. and Joel Clark; siblings Homer Griffith married to Brenda, Charles Griffith, Robert Griffith married to Robin, Carolyn Foor and Jeanne Defibaugh; grandchildren Angie, Josh, Blair, Dakota, Brok, Tia, Brittany, Anthony, Wendy, Trent and Garrett; great grandchildren Damien, Shelby, Trenley, Colton, Bristol , Brilee and Gunnar. She was preceded in death by son Gary M. Morris and sister Ella Combs. Throughout the years she worked at the Lions Manufacturing, was a cook at Kellys Scenic View Restaurant for fifteen years and later retiring from REI, Bedford. She enjoyed participating in the Pioneer Bowling League and traveling. She was a great pie maker, loving mother, grandmother, great-grandmother that shared a special bond with her great-grandchildren. Funeral Service will be held on Friday, September 14, 2018 at 7:00 P.M. in the Chapel at Akers Funeral Home with Pastor Ronald Forrester officiating. Friends and Family will be received on Friday, September 14, 2018 from 5-7 P.M. at the Akers Funeral Home, Inc., 299 Raystown Road, Everett, PA 15537. Burial will held at a later date at the convenience of the family at Bedford County Memorial Park. 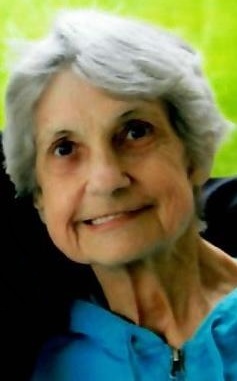 If friends so desire, memorial contributions may be made in memory of Wilma to the American Cancer Society, 1004 N Juniata St., Hollidaysburg, PA 16648.